Titleist has introduced its new AP1 irons and AP2 irons, two high performance iron products for avid golfers and multi-material, dual cavity irons that take the design mission of “Advanced Performance You Can Feel” to new heights. The new models retain the dual cavity design and multi-material construction that has been the key to the success of the AP irons. The new ‘Tuned Feel System’ employs new technologies and materials in the back cavity to take feel to a new level. The new Titleist AP irons have received instantaneous approval across the worldwide professional tours. 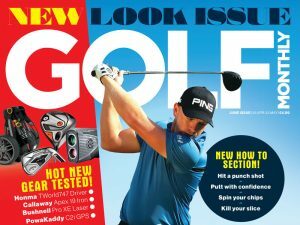 In recent weeks several players, including Zach Johnson, Nick Watney, Ben Curtis have all put the new AP2 irons in play. The AP irons are available in both right and left hand beginning November 1, 2009. Titleist AP1 irons are advanced performance, multi-material, dual cavity irons providing improved feel, great looks, shot control and higher flight with forgiveness for the avid to skilled golfer. The high quality, high technology design and construction featuring a precise cast 431 stainless steel body, high density tungsten nickel sole and Tuned Feel System enhances performance, forgiveness and feel. A thin face with integrated aluminum and soft elastomer Tuned Feel System in the back cavity improves sound and feel at impact for a hotter, more lively feel. The high-density tungsten nickel sole bar reduces low frequency vibration for solid feel. A perimeter weighted back flange and tungsten nickel sole bar locates the CG low and deep for increased MOI, forgiveness and stability. Meanwhile, a thin face and dual cavity design pushes weight to the perimeter for a hotter face and flight. The shorter blade length, thinner topline, and reduced visual offset deliver control and performance. The contemporary, confidence inspiring appearance features a traditional profile with modern proportions. A slightly thinner topline and improved hosel blends for reduced visual offset provide an enhanced set-up appearance. A high performance sole with width, camber and bounce specs has been designed to deliver playability from a variety of lies and turf conditions without excessive bounce or dig. The shorter hosel in long irons helps bias weight low for improved launch. The blade length is the same throughout the set with enhanced progressive offset. Lofts are two degrees stronger versus the AP2 set. Titleist AP2 irons are advanced performance, multi-material, dual cavity forged irons that provide improved feel, classic blade looks, and playability with shot control for the serious and skilled golfer. The high quality, high technology design and construction features a forged steel body, high density tungsten nickel sole and Tuned Feel System to enhance performance and feel. An integrated aluminum and soft elastomer Tuned Feel System in the back cavity improves sound and feel at impact. The soft forged carbon steel body and high-density tungsten nickel sole box reduces low frequency vibration, for soft, solid feel. Dual cavity design pushes weight to the perimeter resulting in playability without loss of shot shaping control, and reduced bounce sole delivers improved ground contact. The high performance sole with width, camber and bounce specs has been designed to deliver playability from a variety of lies and turf conditions without excessive bounce or dig. The contemporary, confidence inspiring set-up appearance features a traditional blade profile with soft blends and classic proportions. The shorter hosel in long irons helps bias weight low for improved launch. Longer hosel in mid and short irons helps manage flight.